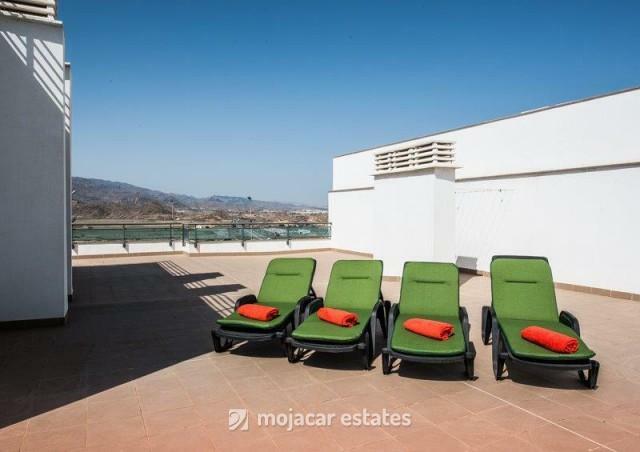 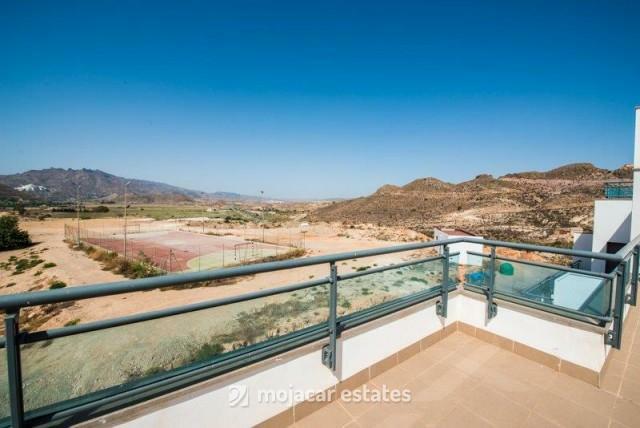 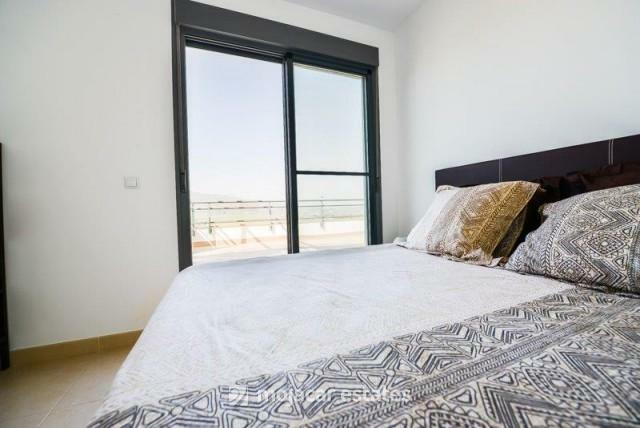 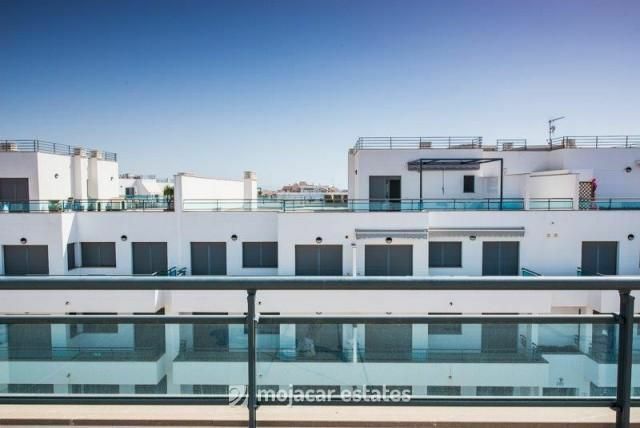 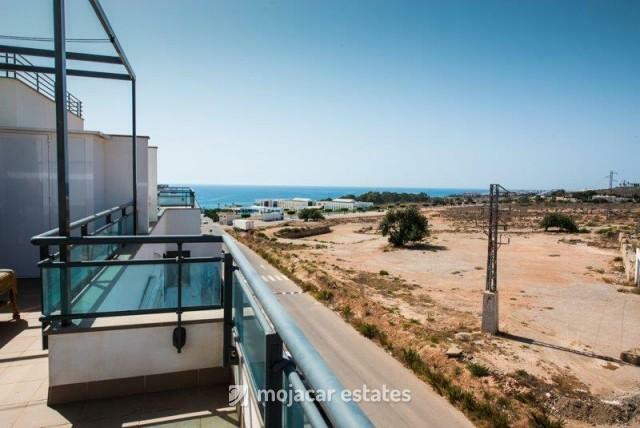 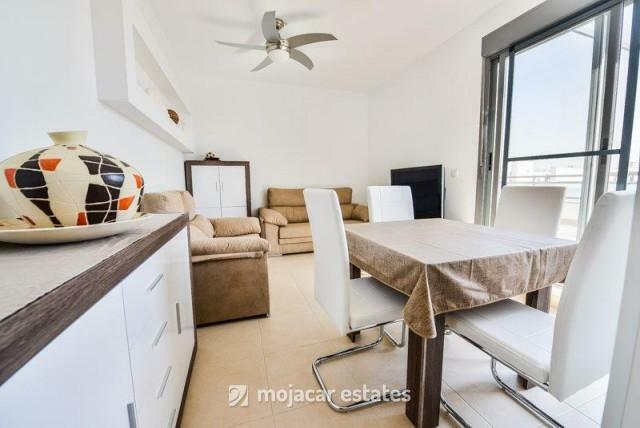 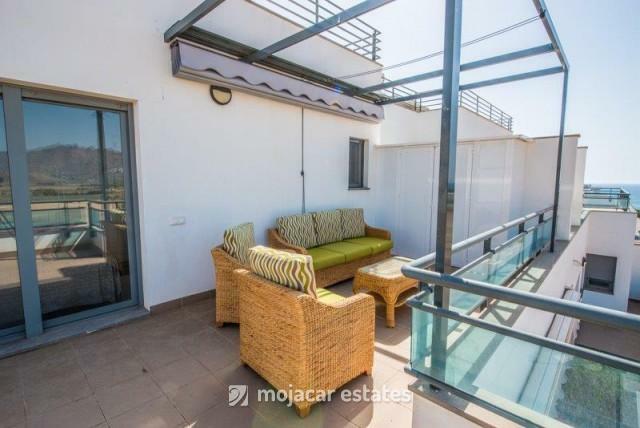 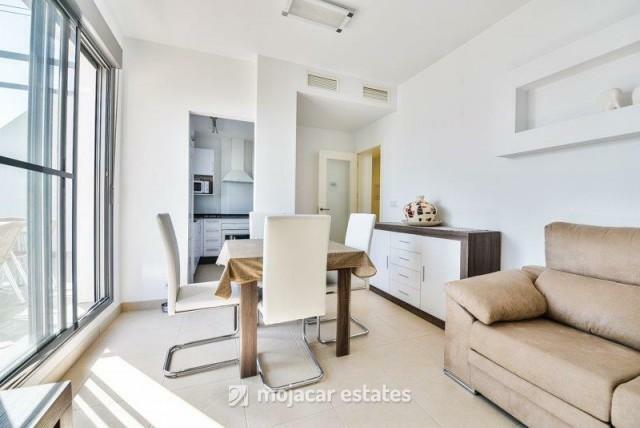 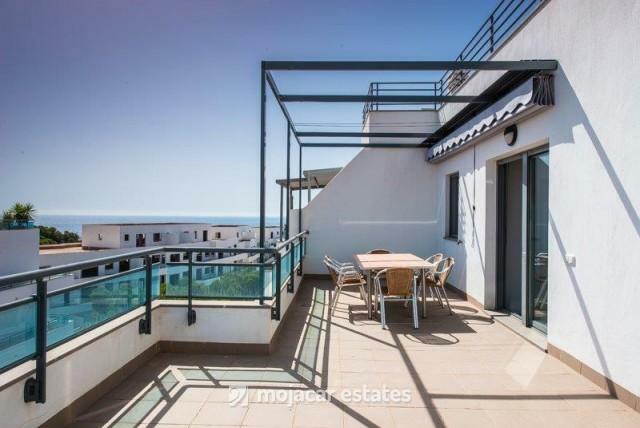 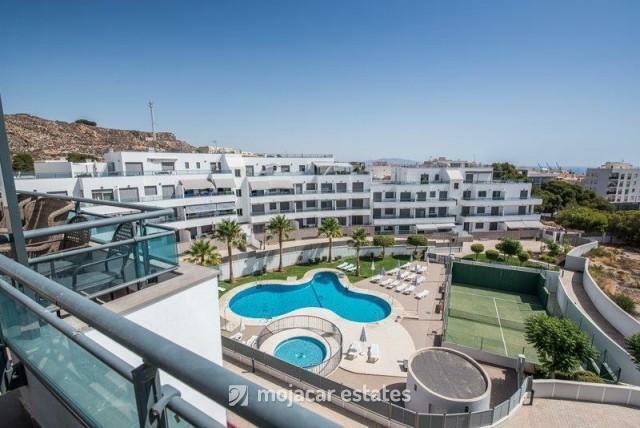 Modern penthouse with sea views and an enormous terrace with 2 bed / 2 bath for sale in Garrucha, Almería, Andalusia. 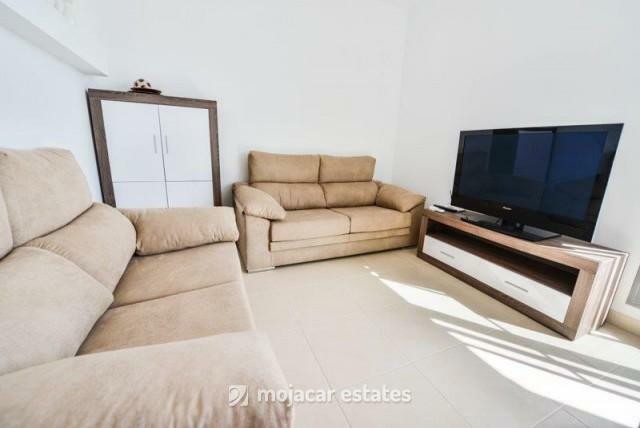 Walking distance to the beach and all amenities. 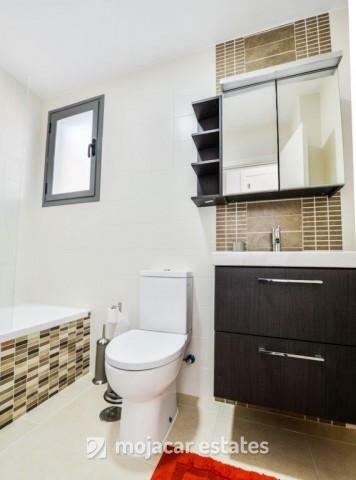 This complex was built in 2016 so the apartment is very new. 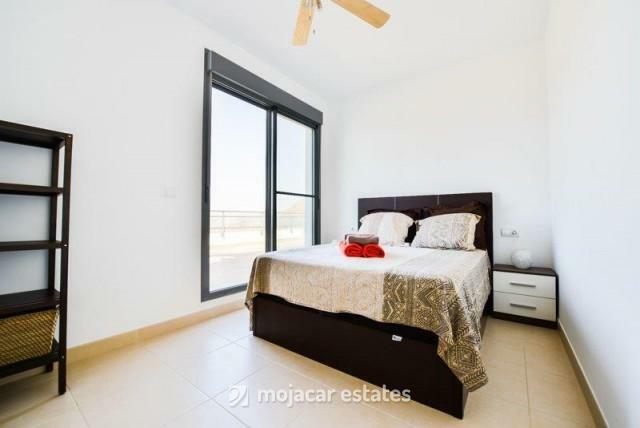 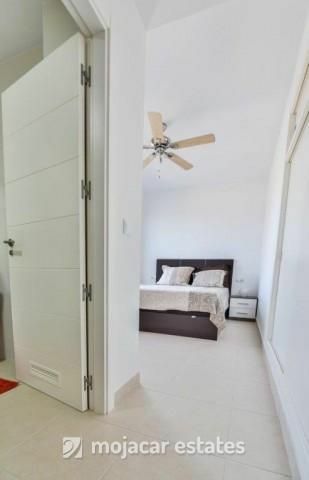 It comprises of 2 double bedrooms, one with sliding doors onto a terrace, 2 bathrooms, a lounge – diner with large sliding windows onto the terrace, a modern kitchen connecting to the lounge. 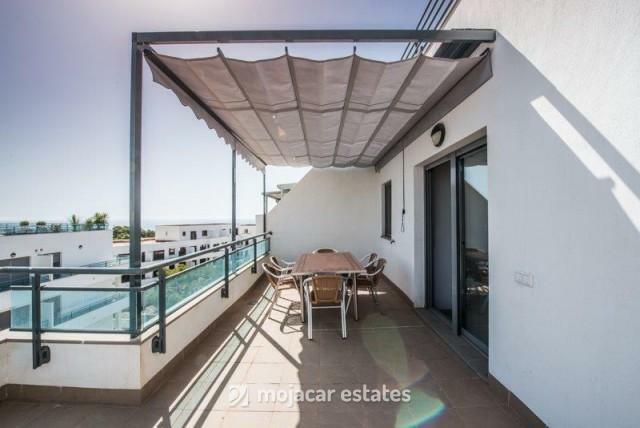 The terrace is very large measuring 183sqm with views over the complex, the countryside and to the sea. 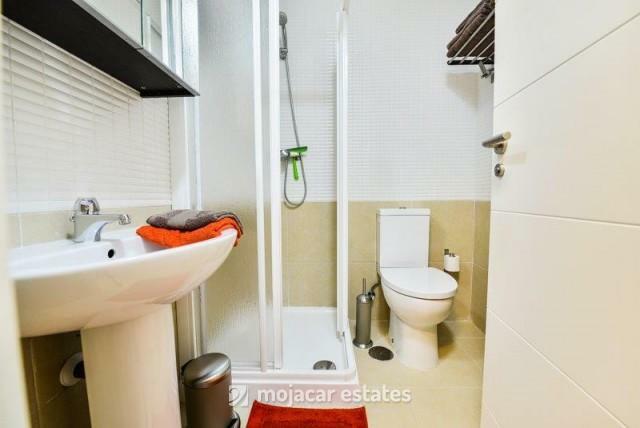 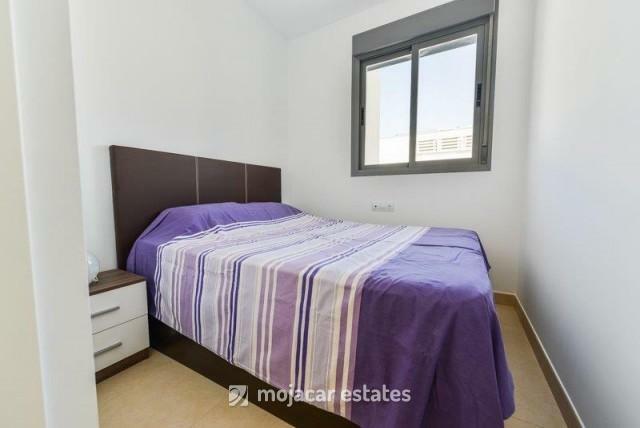 There is centralised air conditioning and the apartment comes with an allocated parking space and storage room. 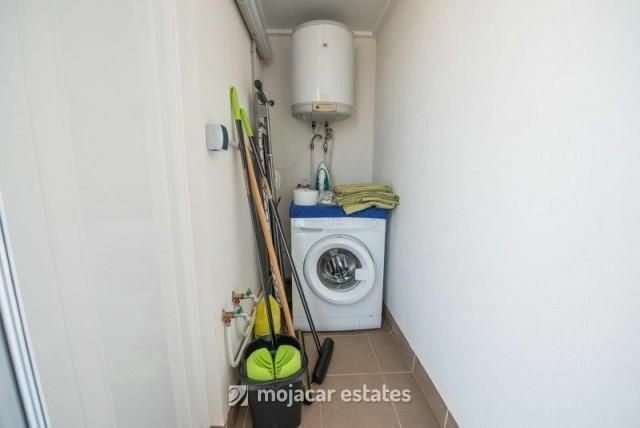 There is a lift and a communal swimming pool and gardens. 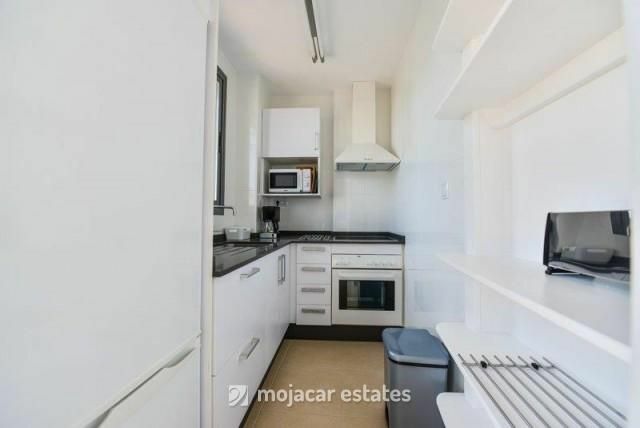 This apartment can be lived in all year round or just in the winter as there is sun all day. 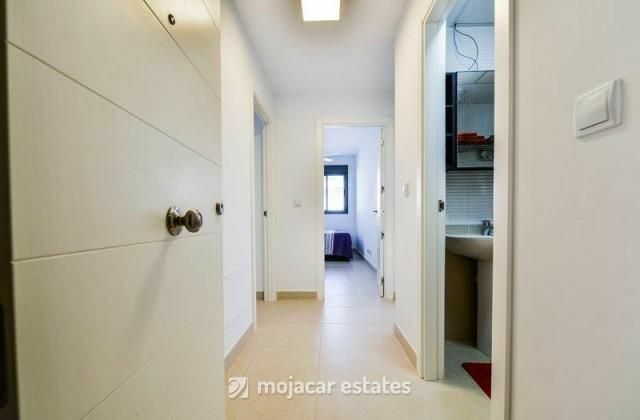 If renting is of interest, then this property has very good rental potencial for both winter and summer lets.